I started my first job earlier this year as a Researcher for a leading recruitment agency in Cape Town. An unexpected gem of an opportunity, given that I have been a professional Facebook stalker since Grade 6. Back then I did not know that I could channel that into a job, but here we are! Finding exactly what you are looking for in the vastness that is the internet could be a course at university. I did not realise how much deeper, more specifically and more creatively you can search for something (or someone) until I was employed to do so. In the past three months, I have learnt tons of new ways to find potential candidates to match our job specifications. The added emphasis we place here at CA on finding that perfect match, makes it both more complicated and more rewarding! 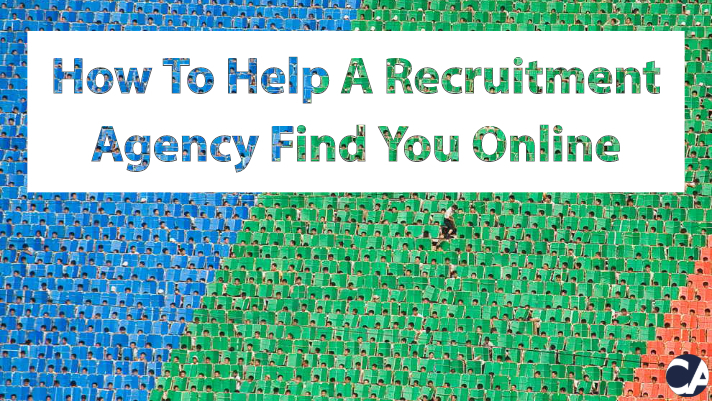 I decided to dedicate this blog post to sharing my insights thus far into how you can make it easier for a recruitment agency to find you, specifically on Linkedin if you are currently on the job market or open to new opportunities. Highly talented, competent and skilled professionals sometimes lack online presence and therefore get lost amongst the perfectly curated profiles. It is true that we do most of our sourcing on the job portals and, if you are not on at least one of them, you are probably close to impossible for us to find. However, the easiest way to put yourself on the professional map is with an up to date Linkedin profile. But what does that consist of? Firstly, add a presentable headshot. It might seem obvious to some, but a Linkedin profile picture is very important as it makes your profile immediately more memorable. Bonus points if it is professionally shot, but it truly makes a difference if we can at least put a face to your name. Furthermore, I have come across some great profiles where an industry-related cover photo also adds so much to the overall profile. A creative cover photo is a pro tip when it comes to creating a profile that stands out to a recruitment agency. Secondly, write a headline that is a summary of your professional self, be it your technical expertise, your industry passion, or a straightforward one-liner about your current role at your current company. It is at your own discretion whether to be concrete or abstract or even wildly creative but, no matter what you choose here, it is an opportunity to introduce yourself to the reader of your profile. Thirdly, update your most recent roles and education to the point where it can potentially act as a qualifier for future opportunities. Emphasise your unique qualifications and courses. Elaborate both on your technical and your soft skills. And when it comes to your most recent roles, detail your key responsibilities and experience that would be of importance to an employer. Keywords are great to use here, and this is where we come to the part where you become discoverable by an online search, especially for specific and more senior roles that may be more difficult for a recruitment agency to find. If you are currently unemployed, it would also be a good idea to further specify that you are actively looking for opportunities at the moment, and to update your latest job to indicate that you are not working there anymore. Fourthly, remember to mention your preferred sector(s) to work in at least once in your profile. This is something that can make a huge difference when a recruitment agency searches for roles where industry experience is of high importance. 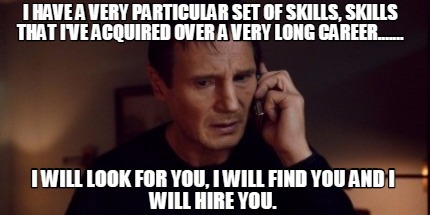 This is not always the most important qualifier as skills can be transferable but, when we do look for that very specific industry experience that you may possess, help us connect you to your preferred sector by sharing that information. Lastly, connect and interact. Your reach is much bigger if you add industry professionals, companies and topics to your Linkedin network. I have witnessed a retrenchment, job search and successful re-employment unfold in a matter of days when that person posted about this unfortunate occurrence, and what type of opportunities they were looking for. This tool is powerful! If you are still not 100% sold on the impact of social tools or job portals on your career, I can assure you that you won’t regret creating an online presence that is reflective of your professional capacity and talents. We live in an interesting time when, even through immense unemployment crises and tough times, we are able to be more connected to life-changing career opportunities through the internet. 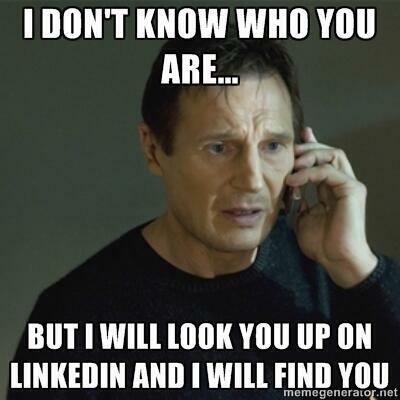 Hope to find you on Linkedin soon!